Please contact us with any questions or concerns regarding our products, your account and billing, our website or any related topic. The InvestorPlace Customer Service Department is open Monday through Friday, 9 a.m. to 5 p.m. ET. My username and password aren’t working, what do I do now? As a first step, please try our “Forgot Password” link to attempt to reset your account. If you are still unable to log in or do not receive the reset email, contact Customer Service at 1-800-219-8592, Monday through Friday, 9 a.m. to 5 p.m. ET. I am new to InvestorPlace. Where should I start? For an overview of who we are and what we do, please visit our About page. You can visit the Experts page to learn more about our expert team of Analysts. You can also visit our Premium Services page to learn about our products and services and help determine what will be the best fit for your personal needs. If you already subscribe to one or more of our Premium Services and are trying to reach your premium content, click here to find links to each of our services. How can I access my InvestorPlace Premium content? 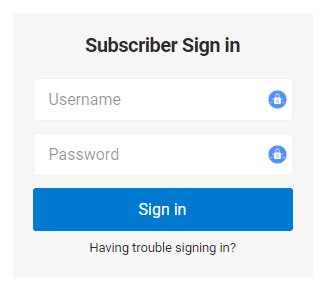 To access your subscription materials, log in by using the Subscriber Sign In box located at the top right of the website. You will need to enter the username (usually an email address) and password associated with your account. From there you will be provided a drop down menu in the same box with links to take you to each of the services you are currently subscribed to. Why can’t you answer my questions about particular investments? SEC regulations prohibit us from giving you personal investment advice. We are financial journalists, not advisors or brokers. Our newsletters, reports and other research services should never be interpreted as personal investment advice. The sole purpose of our research is to alert you to opportunities that you may not be aware of. We make recommendations based on what we believe is the best course of action given the research that we’ve done. You should always speak with a financial advisor before acting on any investment recommendation. What is an IPM*INVESTORPLACE MEDIA charge? An IPM*INVESTORPLACE MEDIA charge on your credit card statement relates to an InvestorPlace Media financial newsletter subscription or product you have subscribed to or purchased. If you have any questions or concerns regarding your account, billing or any related topic, our customer service team is happy to assist you.